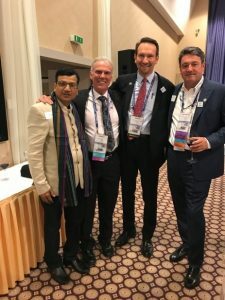 The world’s most prestigious conference on Hair Transplant Surgery was held in Prague, Capital of Czech Republic from 4th Oct to 8th October 2017 recently. 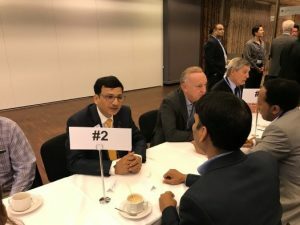 Around 1000 doctors from all over the world and 15 doctors from India participated in this conference. 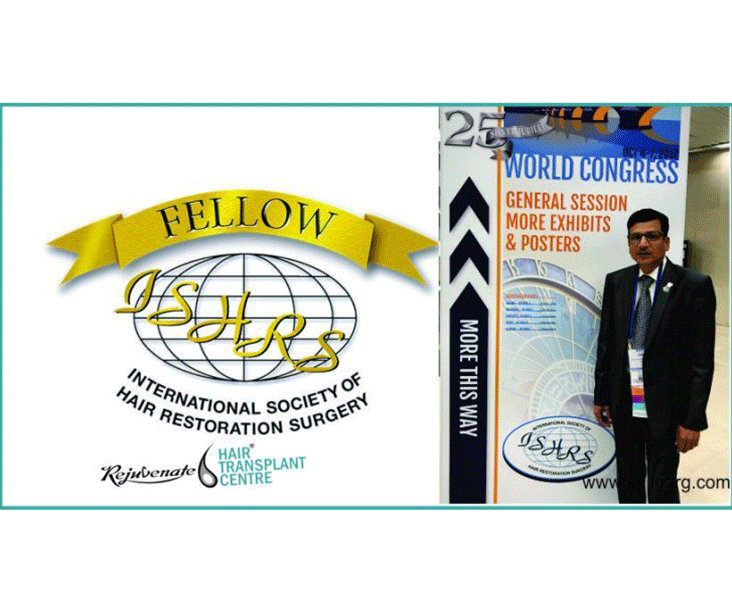 Dr Anil Garg, Honorary secretary of Association of Hair Restoration Surgeons of India (AHRS ) attended the meeting as a workshop faculty. 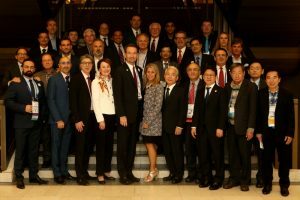 He is also a member global council and scientific committee of ISHRS. 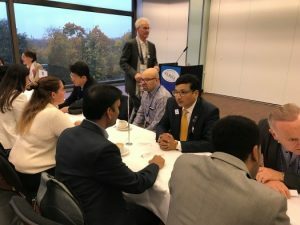 He was a table leader for a discussion of “FUE in Asians” During his table discussion, he highlighted that in Asians two things are most important. First density in Asians is low as compared to Caucasians so we have to be very careful to avoid overharvesting. Another thing is Colour of the skin, If large size punches are used it will give bad scar mark. So, for every patient, our plan should be like that which will satisfy the patient expectations and also should be in the long-term benefit of him. He also insisted on the importance of hairline design. As a faculty in the workshop “Storage solutions and Bio enhancement” one of the most important topics in hair transplant surgery, he presented his work on the topic USE OF AUTOLOGOUS PLASMA AS A HAIR FOLLICLE HOLDING SOLUTION (Platelet Fibrin Scaffold). Role of Plasma in promoting the growth of hair follicle after the hair transplant is very well appreciated. Dr. Anil Garg also highlighted the advantages of Platelet Fibrin Scaffold in preventing dehydration and desiccation of grafts. 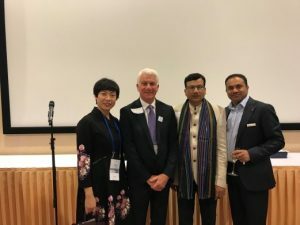 He also hosted newcomer’s session for the first time attendee of ISHRS from all over the world. In this session Queries from the attendee is answered and brief idea about ISHRS is given. 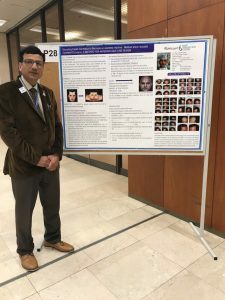 He presented two posters First on a topic ‘Decoding Facial Aesthetics to Recreate an Aesthetic Hairline: Method which includes Forehead Curvature: A METHOD FOR ANTERIOR HAIR LINE DESIGN. 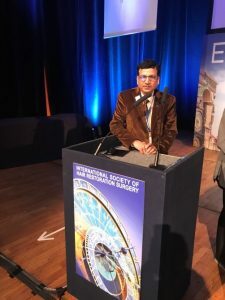 In this poster, Dr. Garg shows by his innovative technique that how easy it becomes for a newcomer surgeon to design AHL by following these simple steps. 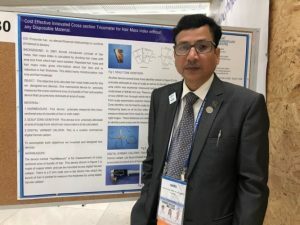 The second poster was on “Cost Effective Innovated Cross section Tricometer for Hair Mass Index without any Disposable Material.” This poster emphasizes on the fact that for doing a scientific study on the thickness of hair ie Hair Mass index, we do not need an expensive instrument. It can also be done by simple’ Hair Measure’ an instrument innovated by Dr. Anil Garg. The contribution of Dr. Garg was appreciated by everyone. Along with this, he also represented India in the Global Council meeting and scientific committee of ISHRS. In this conference, Dr Anil Garg also awarded the Fellow category of ISHRS (FISHRS) .This is given on more than five years consistent scientific work, research publications, books/ chapter written in books and other. 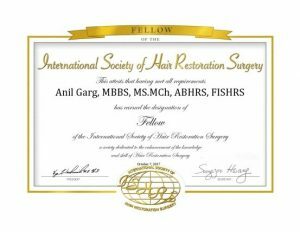 It is a great honour for a member to achieve the Fellow designation of the International Society of Hair Restoration Surgery (FISHRS). This recognizes the surgeon who strives for excellence in this specialized field. To maintain this status, the surgeon must continue to meet established educational criteria over time. 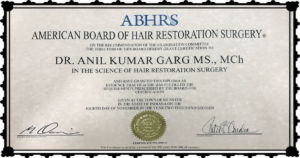 As an active participant in American Board of Hair Restoration.